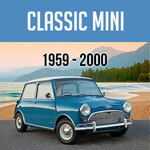 Mini Mania's Speed Shop is open to everyone wanting to take their Mini, Sprite and Midget, or Morris Minor engine to the next level of performance. Our 40 plus years of rebuilding experience means whatever your dream engine looks, feels, and sounds like is just a phone call away. We provide everything from used, tested engines, straight rebuilds and refreshes, to complete high end rebuilds with state of the art components like Multiweb crankshafts and high flow aluminum cylinder heads. If you can dream it, Mini Mania's Speed Shop can build it. 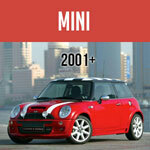 So, if you've been thinking about giving your tired Mini engine an overhaul, give us a call and ask for a quote. We can rebuild the block or just the gearbox, build you a new head or even just offer a new set of high compression pistons or a new set of rockers. Tell us if you plan to go racing or want a powerunit made for cruising the highway - anything you want to do in your Mini, Sprite, or Morris Minor is a lot more fun with a lot more power under your right foot. So give us a call, send us an email, and follow the link below to watch high end Mini engine rebuild from start to finish which will give you an idea of what we do every day in the Speed Shop at Mini Mania. Austin Mini Russell Engineering Piston Set + 73.5mm Dished With Rings And Pins Included. Sold By The Set.